We have all done it: made a decision to solve one problem, only to discover we have created three more problems with our solution. 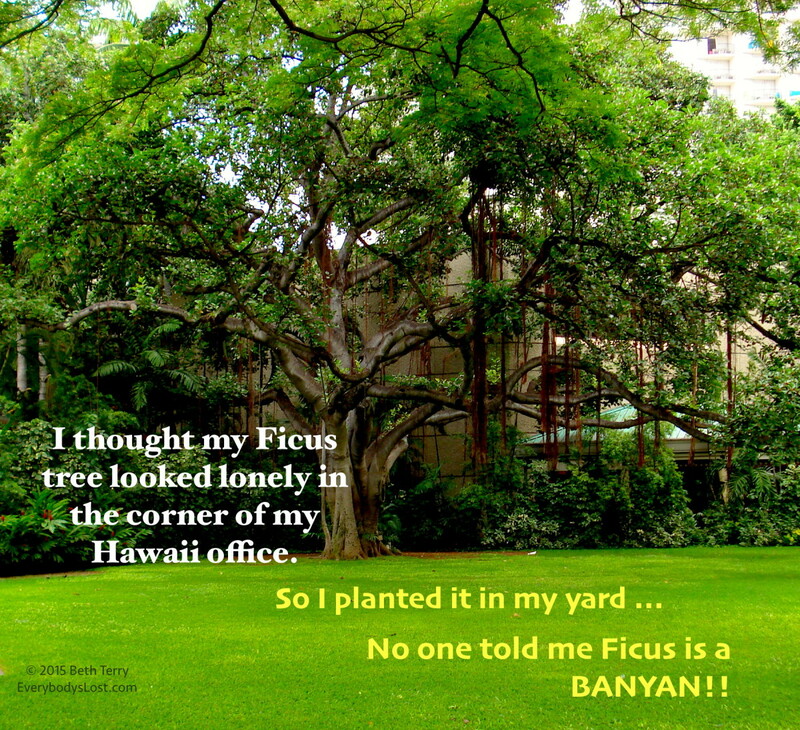 My lonely little ficus tree looked sickly and gray in the corner of my office in Hawaii. “Why not plant that outside?” I thought to myself. Why not? I discovered a half dozen why not’s! I suddenly had the awful task of trying to end this tree’s reign of terror over our back yard. It looked impossible and I didn’t have any idea or any tools to commit Ficus-side. Up until the tree incident, I enjoyed a lovely friendship with the neighbors on both sides. Not so much anymore. I told Lefty I’d bring in a tree expert when I returned from my trip. Lefty had other ideas. His wife told me he hid in the garage and watched me drive off to the airport. As soon as my car was out of sight, he was on the job. He sawed and hacked and reduced that monster tree into submission. When he had most of the tree carcass in his truck, he drilled into the roots and poured some kind of powder, then lit it on fire. When I returned from my trip the only visible evidence that a tree had stood there was my rapidly degrading retaining wall and a patch of new grass. The contractor I hired to shore up the wall had to pull it down piece by piece while sawing at the roots pushing from the inside. The heavy machinery tore up my lawn and destroyed part of my driveway. When you have a “great idea” – ASK people who may know something you don’t! Ask yourself what the desired end result is. 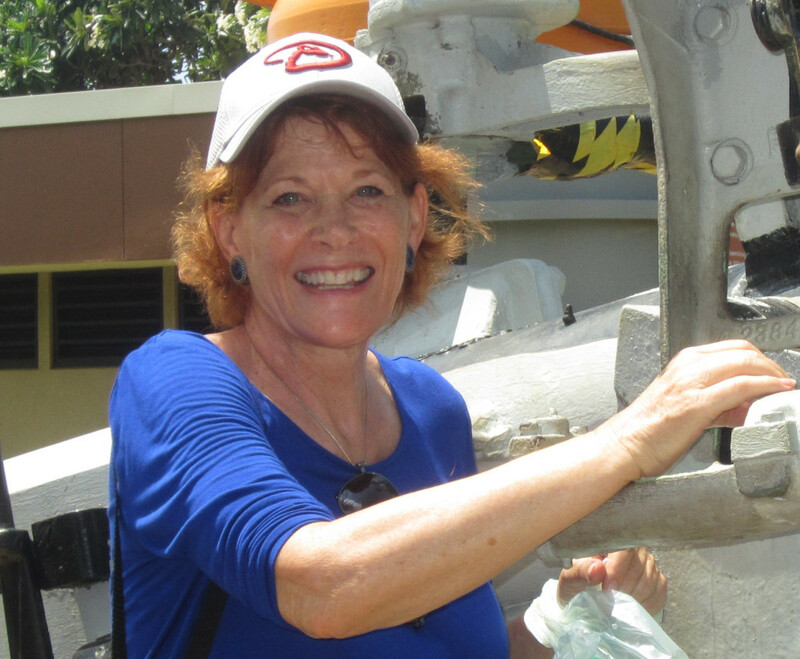 Figure out if the cost of doing it (and UNDOING it!) are worth it. And maybe just sit on the idea for a few days and revisit it when your brain cells are functioning better. Not all ideas are great. Not everything needs an action plan. And some things are better off sitting in the corner of your office looking lonely instead of being fed superfood and turning into a monster tree practically over night! !